The street art scene in the last three years since I visited has undergone some changes. 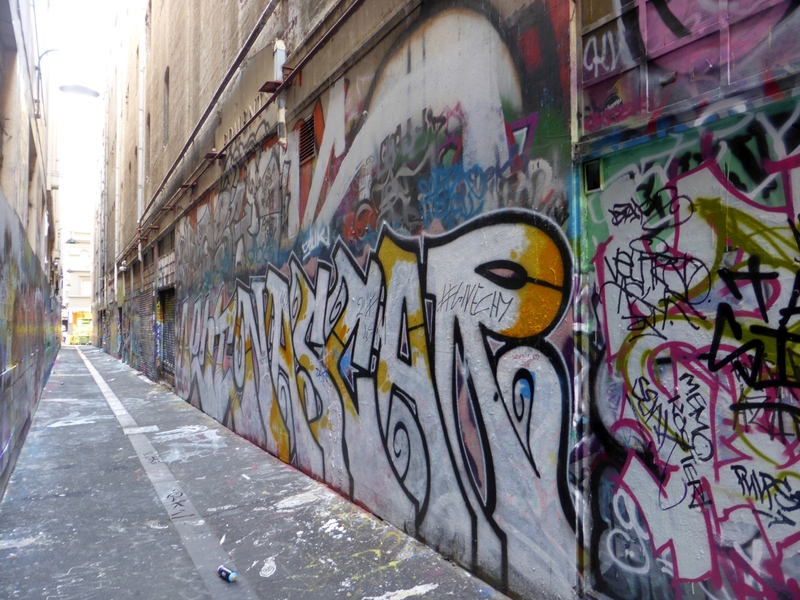 It looks like many of the seasoned writers and mixed media artists have vacated the main CBD laneways. 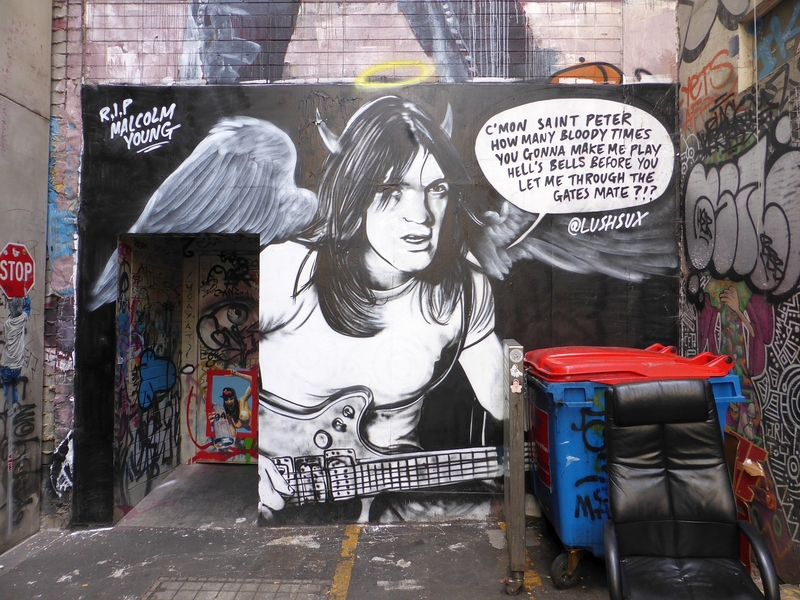 With the exception of two tribute murals to the late great Malcolm Young, I had trouble finding new works in the way of stencils, pasteups or any of the usual, quirky writers and artists. There were reports in the media last year, of Mayor Doyle attempting to move on the homeless people from the laneways as they are a tourist attraction, and apparently we are offended by the presence of homeless people. I think we tourists know full well there is no art without the participation of the artists, including those who are homeless. As for the state of the laneways, it’s easy enough to run a street sweeper/cleaner through every day, to get rid of the overwhelming stench of urine and worse. Union Lane was particularly bad this year, but still looked beautiful. AC/DC Lane had more of the paste ups and stencils but the Swoon artwork has been painted over, and many of the works looked old. Something is discouraging new and established artists from participating. Is it a protest over the council policies or something else? On the subject of homelessness, in the past we’ve seen some people sleeping rough in the daytime on the streets, but nowhere near the number of people we came across this year. According to reports, charity services to people in need have been overwhelmed and fewer of the general public are donating either cash or goods. I don’t carry cash anymore except for parking meters, and this is the difference between going hungry and a meal to many people. 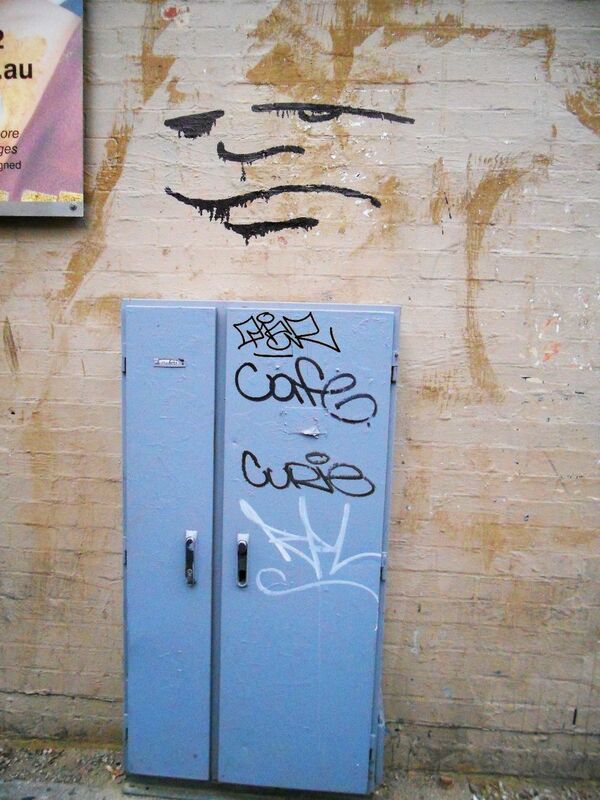 As an admirer of street art I find the argument of Street Art v’s Graffiti baffling. For the purpose of this post, street art is inclusive, Street Art (in capitals) is separate from Graffiti. 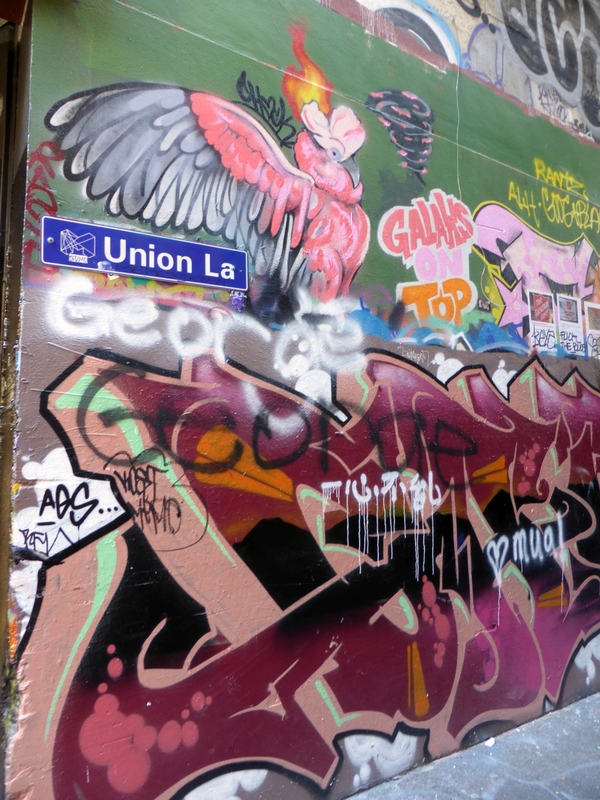 Street art as a valid artistic expression first hit me on a visit to Melbourne. The impact of whole laneways covered in a layered mix of graffiti, stencils, paste ups and any way anyone could get anything up on a wall was confronting, fascinating and inspiring. 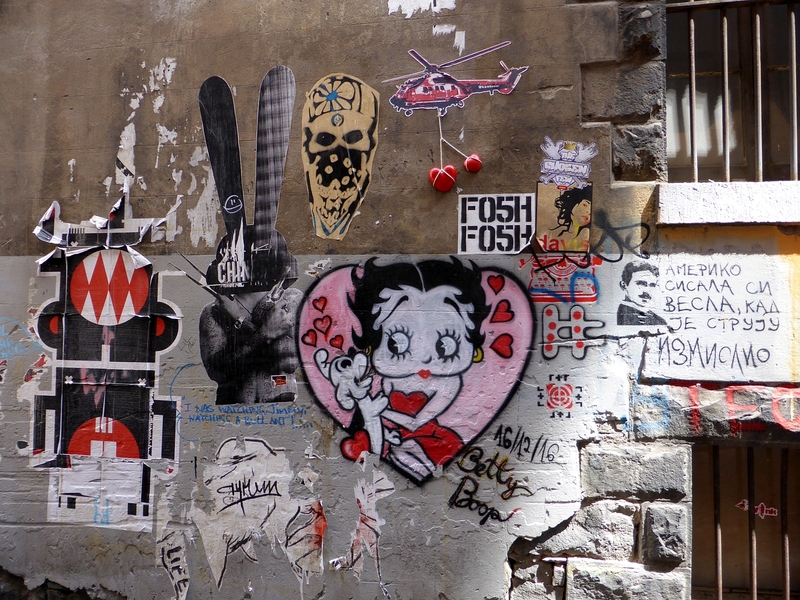 Street art has always existed in one form or another. There are significant rock paintings and carvings by Aboriginal people around Australia that go back thousands of years. In early colonial history, South Australia recorded protest writing on an unauthorised fence in Port Elliot in the 1800’s. 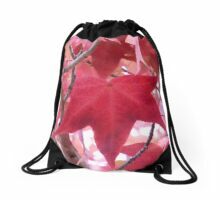 When I was at school in the 70’s it was common to write on desks, bags and pencil cases with black textas. I can’t remember a time when the Sisters’ Rocks on the main highway to Melbourne from Adelaide, weren’t covered with chalk or painted names and messages. Graffiti of the late 70’s and early 80’s embodied the risk, subversion and one-upmanship that is the foundation of street art today. 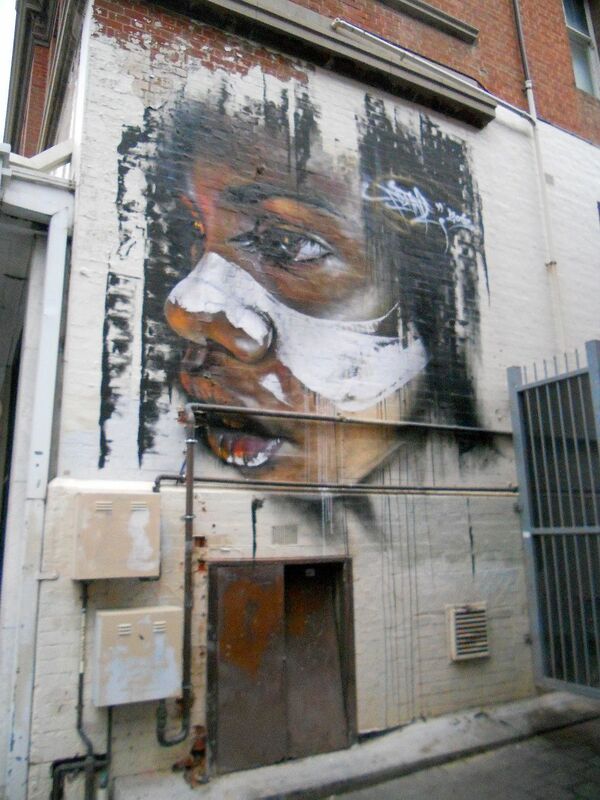 Being caught using a spray can on an unauthorised wall in Australia can result in a criminal record. 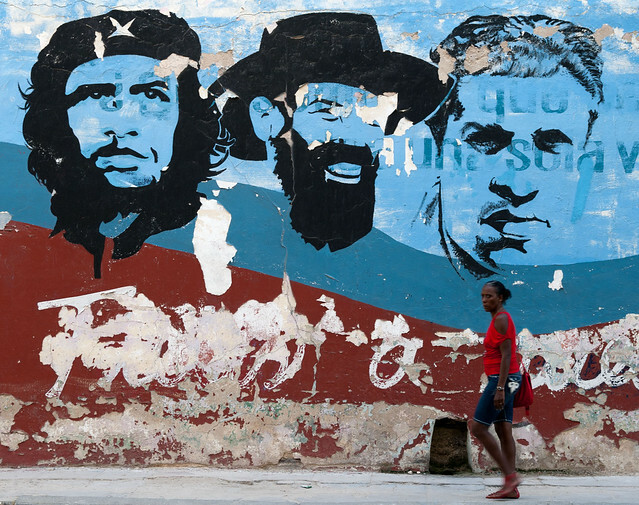 The first contemporary Street Art I remember was photographs of the streets in Cuba with the beautiful revolution murals. 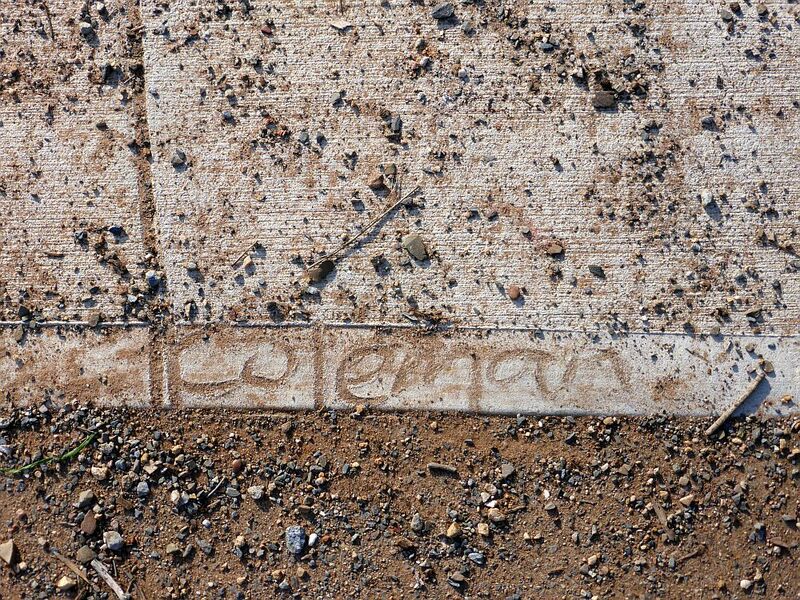 Graffiti in New York in the late 70’s broadened the application from tagging to whole wall writing. Street art has always been about artistic expression whether it is carving, painting, writing or murals, or in more recent years, stencils, ceramic sculptures and yarn bombing. The very existence of street art is political. Working on an unauthorised wall is in itself a protest. One thing all street artists have in common is the need to put their message out there in their own time and place with freedom of expression. To my way of thinking all work on the street is street art, so how did the division come about between Street Art and Graffiti? Graffiti is freehand spray can writing. I don’t know where the line is drawn between a work being Graffiti or Street Art as some writing has illustrations, or illustrations with no writing. Street Art is anything put together in the studio prior to working in the street, such as stencils, paste ups, yarn bombing, etc? On the side of Graffiti, freehand writing takes longer and so is higher risk than putting up stencils. Some argue freehand requires more skill than a studio set up. On the other side, Street Art supporters deride Graffiti as vandalism with no artistic merit. All unauthorised street art is vandalism, or it’s a sign of reclaiming the streets. 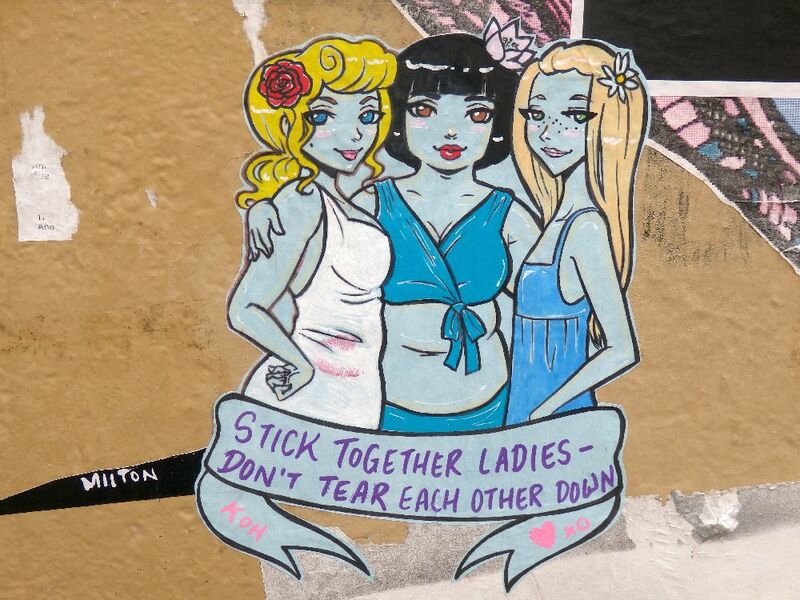 Maybe the only thing missing in the Street Art v’s Graffiti debate is respect. Street Artists and followers should respect the people who created the street art culture and learn to understand the artistic value of Graffiti. Tagging and Writing exists in the tradition of calligraphy, an art form that takes years of practice and experience to develop into a signature style. Great Graffiti artists continue to work on their technical skills and push boundaries in the expression of their writing. 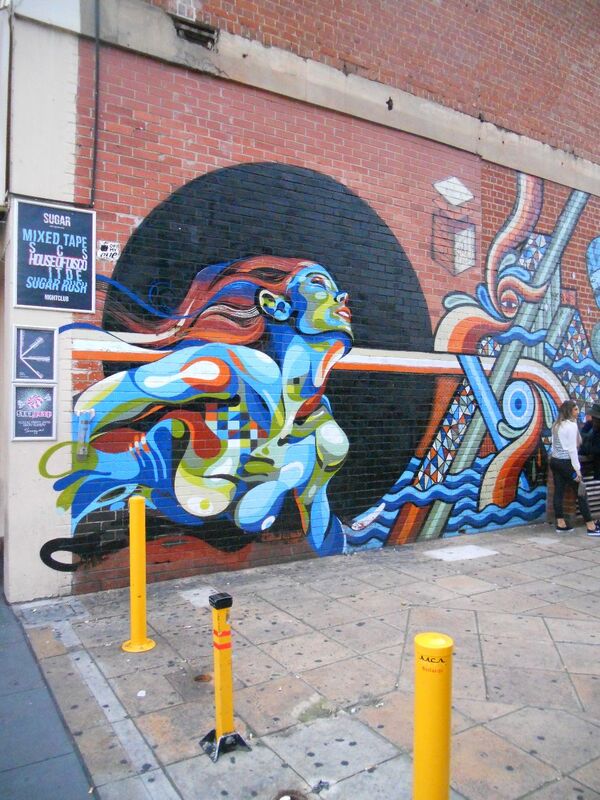 In the arts community, street art v’s gallery art is another debate. 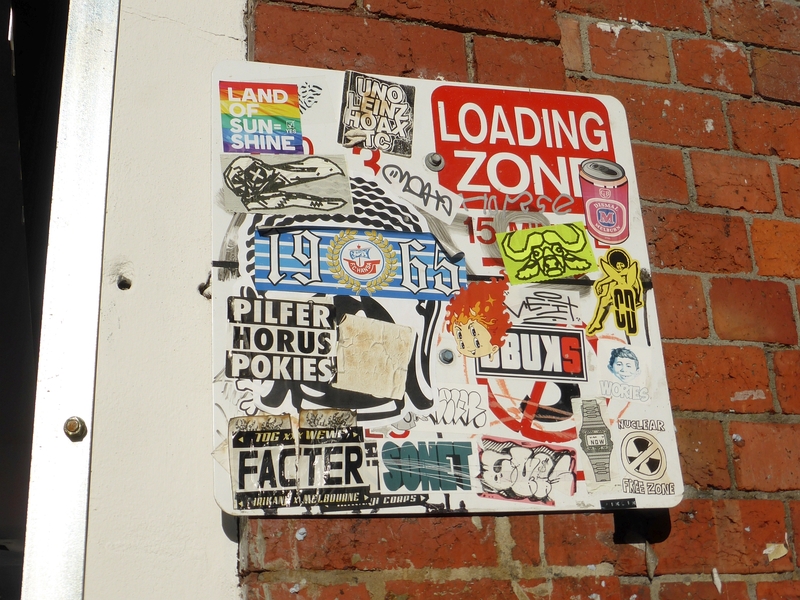 The fact that anyone at any time in any place can put something up means that it doesn’t require permission, an arts degree, curating, or even talent. Having said that, there is strong competition in the street art community to improve and develop a style, and put up good work. Some street artists have an arts education and others are self taught but have worked at their craft for years. There has been recent discussion questioning the success of street art showing in a gallery context. Many street artists exhibit successfully but some are called sell outs or are derided for using a wall to promote the gallery exhibition. I think a street artist can work anywhere if they consider what is at the core of their work, and keep that authenticity and integrity in what they are doing and the way it is shown. Another debate is street art v’s art on a wall. I question whether an artist who only works authorised walls can be called a street artist. 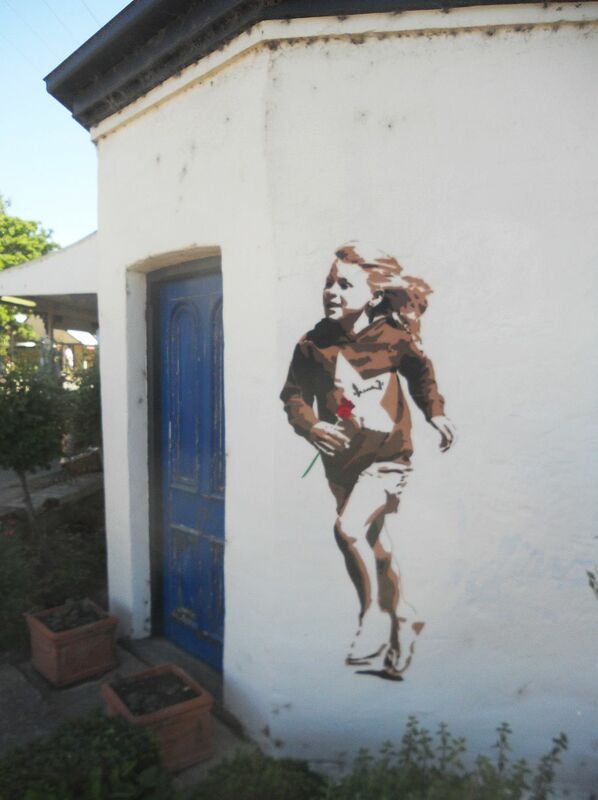 As said previously, street art has a tradition of risk and freedom of expression that is central to the artform. 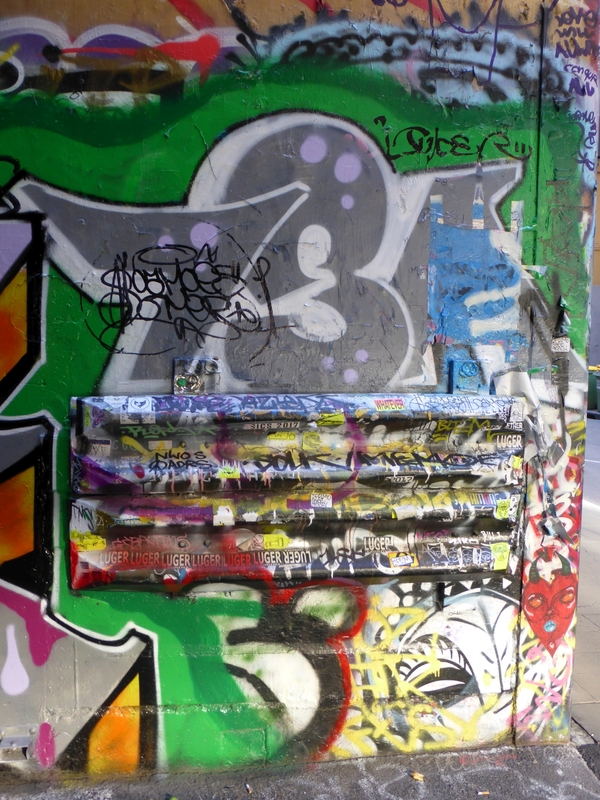 Walls aren’t just a canvas but a forum for public interaction. Businesses and councils are recognising that a graffiti covered wall is a deterrent to more graffiti (!!?). Hardly a week goes by when a graffiti wall is not in the background of a photograph in a newspaper or blog article. I hope the future of street art is inclusive and valued as important to the uniqueness of a city as architecture. 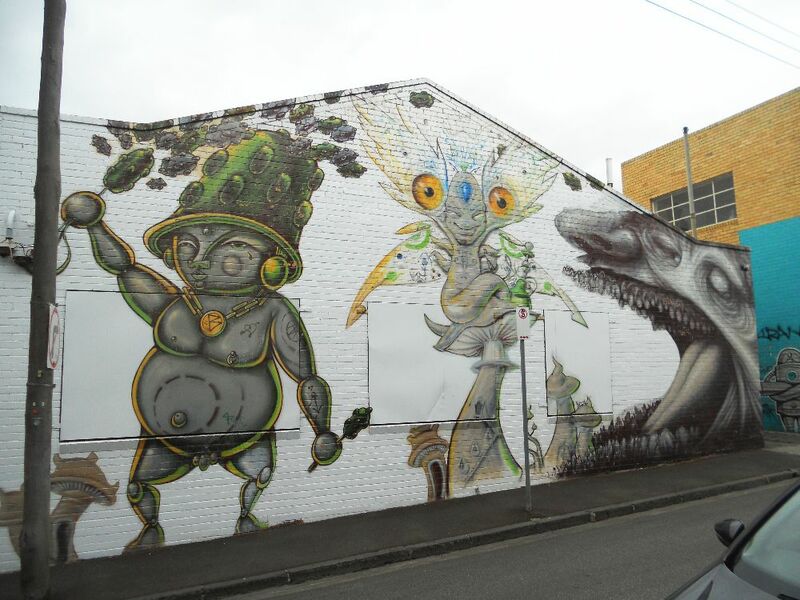 I would like to see all Adelaide public and business side walls and back yard laneways opened up to artistic expression for the benefit of local culture and tourism, and for the councils and governments to divert funding for graffiti removal to street artists along with immunity and freedom of expression.